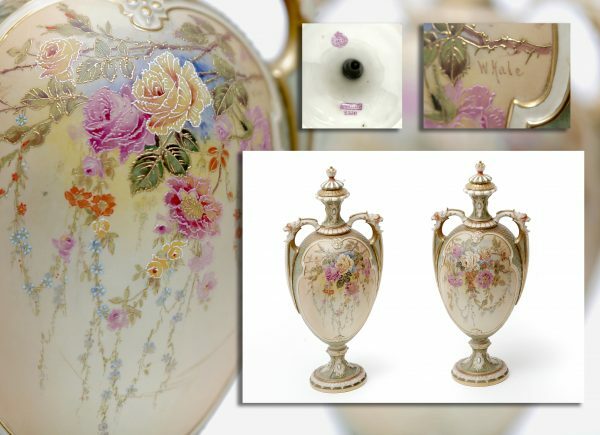 Lot 205 – A Pair of Early 20th Century Royal Worcester Porcelain Vases, scale pattern sides, floral painted panels, signed W. Hale, together with covers, on circular feet, 37cm high. Guide Price £ 100 - £ 150. (Plus Buyer's Premium of 18%, Including V.A.T. ).